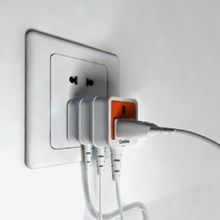 This just has fire hazard written all over it, the recursive plug. On the back of each plug is a socket allowing you to connect another plug, crazy! It’s only a concept product at the moment, lets hope it stays that way. Found via Gizmo Central.